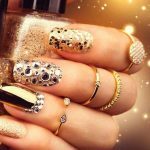 If you’re a nail expert or a mani & pedi enthusiast, you will know that few things are more enjoyable or refreshing than a quick pamper session. The smooth skin of freshly treated hands, the uniform neatness of pretty painted nails and the overall polished look all work to leave you feeling great. Now, if you happen to own a pampered pooch or a would-be pampered pup, you will also know how much they enjoy being groomed and fussed over. For us, most nail care is done for cosmetic purposes, but for dogs, the health and condition of their nails and paws is essential to their wellbeing and comfort. Everything from their posture to them being pain-free depends on neat and tidy nails. So it makes sense to bond with your furry four-legged baby over something you both enjoy; a puppy-parent pamper session, if you will. Is indulging in a manicure and pup-icure really called for though? Well, read on to see why the health of your dog’s nails is so important. We’ve even given you some great advice on how to give your pooch the proper treatment. So why is the condition of your dog’s nails so important? Well, for starters, their nails affect their overall posture. If their nails are too long, a dog will stand awkwardly, back on their feet. As such, many chiropractic issues can be remedied by cutting the dog’s nails. Ensuring they are at the right length will change the balance of the paws, mobilisers and stabilisers, so their back is not rounded, and their paws are not tucked under. Long nails and poor paw balance will change the angles of every single joint, causing repetitive strain and recurrent injuries. Long nails will also dig in when they walk because they will hit the floor with every movement, thus making the nail bed sensitive. A good rule of thumb is to listen to your dog walk. You shouldn’t hear their nails clicking on the floor; their pads are for walking and running, their nails are for grip on grass and in sand. If you’re well-versed in how to work your own manicure table, but you’re worried about doing your dog’s nails properly, check out these top tips. A good length…Nails that are too long will click on the floor, and this is a good indicator that you need to trim them, even if you’re between fortnightly cuts. Your dog’s claws should never hang over the pad or touch the ground when the dog stands. The right cut…The first rule of thumb; use the right tools. Guillotine clippers are best for small breeds; plier clippers are for larger breeds. Ensure you get a pair with enough grip for a clean, safe and easy cutting process. When making the cut, take care with the quick and make sure cuts are smooth and decisive. Also, follow the natural curvature of the nail by cutting at a slight, rather than sharp, angle. Cuts and trims will need to be done regularly, and they’ll become part of your dog’s routine. If your pup is new to pedicures though, get them used to their feet being touched in advance. My recommendation is these amazing dog nail clippers by trusted brand, Boshel. Quick and safe, your dog won’t object to grooming with this tool. Cutting the quick…The quick is inside of the claw, where the blood vessels and nerves are. The recommendation is usually to cut the nail approximately 2mm away from the quick, which is easier to judge with lighter-clawed dogs. With darker-clawed dogs especially, take your time and keep checking to see where the quick is. This extra effort will make a difference, ensuring you don’t hurt your dog, so you can both enjoy the experience. If you’re scared of using traditional clippers for this purpose, don’t worry, there’s another way! I couldn’t recommend the Hertzko Pet Nail Grinder highly enough. It will trim down your dog’s nails gently and gradually, so you won’t have to worry about any accidentally nips or scrapes. And if you do cut the quick? Don’t panic! Your dog will react to your emotions and become nervous. Just stay calm and use tissue or styptic products like Hatchwell’s Trimmex to stop the bleeding. Let the Puppy-Parent Pampering Begin! So now you are up to scratch on pampering your pooch and treating yourself with a mani-pedi session, let the fun begin! Grab your dog, stock up your manicure table, and get ready for happy, healthy nails. Now That Your Dog Is Looked After, Ready To Treat Yourself Too? For professional advice on how to give yourself a manicure at home, see the DIY Manicure Guide at The Coveteur, or check out top tips from Glamour magazine. And if you’d prefer to start slow, stick with easy nail designs.